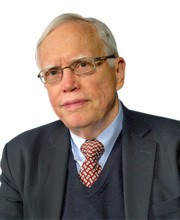 James J. Heckman is the Henry Shultz Distinguished Service Professor of Economics and Public Policy and Director of the Center for the Economics of Human Development at the University of Chicago. He has devoted his professional life to understanding the origins of major social and economic questions related to inequality, social mobility, discrimination, and the formation of skills and regulation in labor markets, as well as to devising and applying economically interpretable empirical strategies for understanding and addressing these questions. Heckman has published over 300 articles and 9 books on these topics. Heckman is the recipient of the Nobel Prize in Economics, the John Bates Clark Medal, the Jacob Mincer Award, the Dennis Aigner Award, the Ulysses Medal, the Theodore W. Schultz Award, the Gold Medal of the President of the Italian Republic, the Frisch Medal, the Dan David Prize, and is a Distinguished Fellow of the American Economic Association.